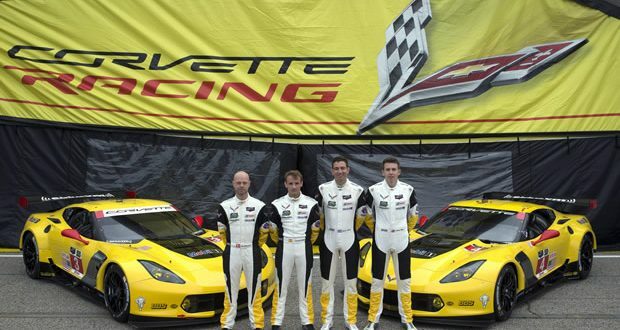 CORVETTE RACING AT LE MANS: Time to Take on the World Once Again - MacMulkin Corvette - 2nd Largest Corvette Dealer in the World! accomplish that feat. 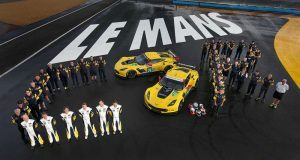 Of note, nine different drivers have won at Le Mans for Corvette Racing throughout three different classifications and four models of Corvette race cars. Championship. Gavin, Milner and the No. 4 Corvette C7.R lead the GT Le Mans (GTLM) Driver’s and Team championships, as does Chevrolet in the Manufacturer standings through four races. In addition, Jordan and Ricky Taylor have two overall victories for Wayne Taylor Racing in their Corvette Daytona Prototype and lead the Prototype Driver’s Championship. 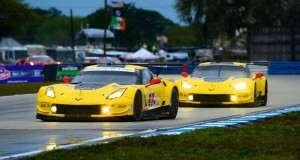 both GTE Pro and the IMSA GTLM class. There are a number of aerodynamic changes from last year’s car including a larger splitter at the front and diffuser at the rear of the Corvette. Side skirts and a repositioned wing also are among the most notable changes, along with updated safety features that are now mandated on all GTE Pro and GTLM cars. details of the race, getting all three drivers cycled through and not worrying about finding extra speed. That’s what we had last year. We had a Corvette that was comfortable and fast. JORDAN TAYLOR, NO. 64 CHEVROLET CORVETTE C7.R: “It’s hard not to say the lasting image of last year’s race is standing on the podium and looking at the crowd. Previous: 2017 Corvette Orders – Special Discount Extended at MacMulkin Corvette For June Only!